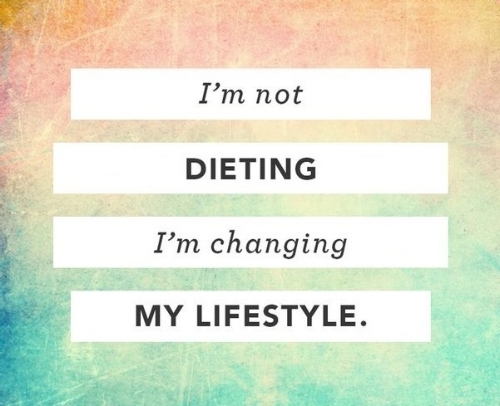 We have become a society that throws the word diet around constantly. I hear people saying or posting ‘I’m starting a new diet” or “I’m on a diet” or “I can’t eat that.” They drop a few lbs, the New Year or summer rolls around and they are back at it again. Never able to keep the weight off always on a roller coaster ride. The problem is you’re not actually learning how to “eat” and making long term necessary changes to your lifestyle and behaviors that will help you stay on track for life. This is why it is so important to focus on changes that are sustainable and can last a lifetime, instead of focusing on the here and now. Good nutrition, over all weight loss and wellbeing take time, so be patient it’s so worth it in the end. Here are a few tips to help get you started. 3. Keep food records. Not forever just for a while to see where you think you can make improvements. 6. Cut yourself some slack. This is so important, this is for life it’s not for the short term so if you don’t do something one day or you have that piece of chocolate or candy who cares. Eat it and move on. I am a big advocate of focusing on progress, not perfection.